Mike King is the founding member of the King’s Camps Pro Team since its conception in 2013. 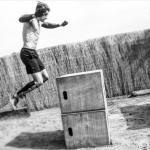 Mike is a seasoned athlete who competes in the Obstacle Course Racing (OCR) circuit, as well as road and trail races. 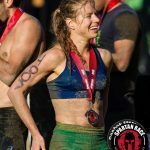 Mike has numerous podium finishes in OCR races such as Spartan Race, the former Battle Frog, Rugged Maniac, Savage Race, as well as the Spartan World Championships, the OCR World Championships, and World’s Toughest Mudder. In 2016, Mike was ranked 2nd in the national BattleFrog points series. Mike has also placed well in the running world, taking top positions in both road and trail races. While a masters category athlete, Mike can often be found challenging those many times half his age, embracing the statement that “age is just a number.” He is dedicated to helping others in all of their fitness pursuits, and especially helping you “overcome your obstacles,” which has become the King’s Camps mantra.